"When I saw Laura's body change shape and shed weight, I assumed the obvious: I was going to have to go to prison to lean out. I never read diet books, but I read hers because she's my friend. I'm leaner, meaner, and am now the proud owner of a 4-pack. Do it. I did” (Chelsea Handler, New York Times bestselling author). Laura Prepon's—star of That 70’s Show and Orange Is the New Black—life underwent a change when she met integrative nutritionist Elizabeth Troy, who combines Eastern holistic medicine and food science in her practice. After years of Prepon starving herself with strict and unsatisfying diets and punishing herself with tortuous workouts, Troy “unstuck” Prepon’s malfunctioning organs and metabolism through targeted eating and stretching that finally allowed her to lose those stubborn pounds and thrive. 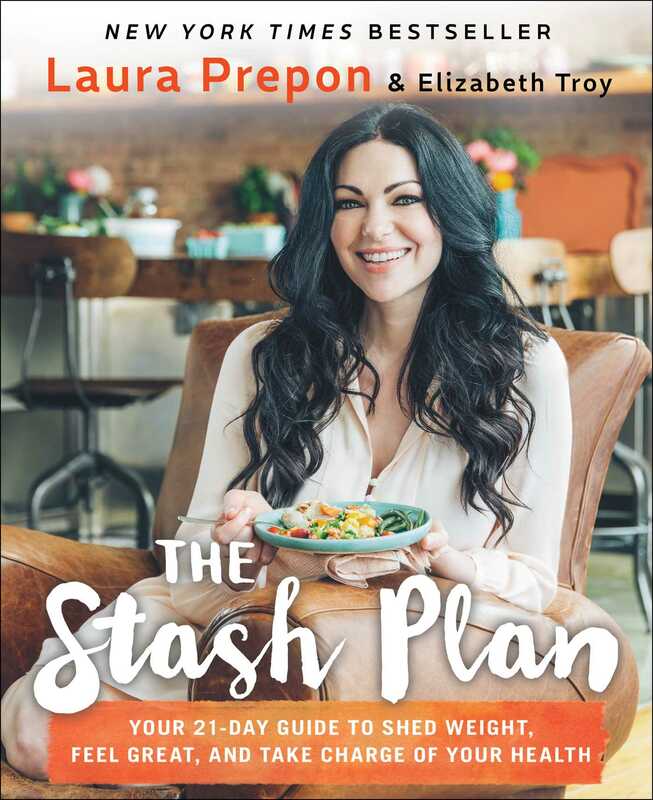 Wanting to share this life-changing success, Prepon joined with Troy to create The Stash Plan, a 21-day plan and lifestyle guide that combines modern nutritional science with Chinese Meridian Theory (CMT) to detoxify the body and burn fat. In The Stash Plan, you’ll learn what to cook and how to create a combinable “stash” of meals—proteins, carbs, and vegetables—and nutritional bone broths to eat throughout the week, with recipes that are “as mouthwatering as the meal plans are practical” (Publishers Weekly). With twice-weekly cooking sessions as the basis of the plan, Prepon and Troy will show you how to make healthy, budget-friendly meals that are easy and ideal for a busy, on-the-go lifestyle. The Stash Plan gives you the key to heal yourself from the inside out and start living the life you’ve always wanted. Laura Prepon is a versatile actress whose career spans both film and television. She made her television debut on the long-running sitcom That 70’s Show, where she portrayed Donna Pinciotti, the girlfriend of next-door neighbor Eric Forman (Topher Grace), and can currently be seen in the hit Netflix original series Orange Is the New Black, which was just renewed for a fifth, sixth, and seventh season. Although an East Coaster at heart, Prepon currently resides in Los Angeles. Elizabeth Troy, RD, IN, has been an Integrated Nutritionist and well-being coach for more than twenty-three years. She received her Masters Degree in Teaching from Teachers College at Columbia University, and is a certified teacher of yoga and Thai muscle massage, a registered practitioner of functional medicine and nutrition with Metagenics, a certified nutritionist with the Institute of Integrated Nutrition, and a practitioner of Chinese Meridian Theory. She lives in New York.